Do you struggle to give large amounts of time for charitable volunteering due to other commitments and a busy lifestyle? Then try giving your skills over lunch. Give What You’re Good At is launching a new feature which will enable professionals to find charities that need their skills to solve a problem over lunch. Here is how it works: A non-profit posts a small project or question that requires professional expertise. The request must be something that can be given during the hour and have a clear deliverable: Think signing off on fundraising marketing or clarifying a term in a contract. The request is routed to individuals that have an expertise in that area and are nearby and available to meet for lunch. The beauty of the new part of our platform is that through the non-profit can get their challenge solved and even get more than they originally asked for. Non-profits can quickly get a range of responses that were outside the original problem but it can also give the non-profit a broader context and bring new issues to light. The lunch search will be available in June. Register here for free. Why Are Lawyers The Only Ones Who Get To Do Pro Bono Work? The legal community has made pro bono service part of its culture and an expectation of barristers, lawyers and firms. The result: it is rare for a charity to pay for legal services. But, while charities can access legal skills without cost, most can’t access sales, design, marketing, technology or strategic resources they need to succeed. Without this talent, their intended impact on critical issues like health and education is over promised and undelivered. 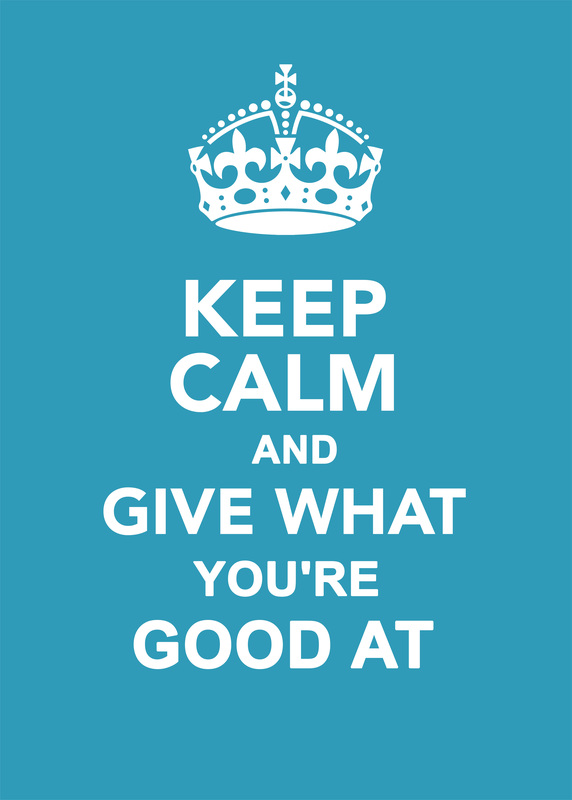 Inspired by the success of the pro bono movement within the legal profession, I started Give What You’re Good At in 2010 to make pro bono as prevalent in the other professions as it is in the legal profession. Imagine if charities and social enterprises tacking social problems had the same access resources as companies. Give What You’re Good At’s mission is to change the way charity and social enterprise leaders think about volunteering. We have developed 40 projects which save charities between £2,500 – £20,000. These projects are informed by the problems charities experience such a ‘diversify income streams’ or ‘find a patron’. Matching skilled volunteers, with the passion to the right project, at the right time is instilling hope that we might just be able to achieve our visions for a better society with talent. In the face of a volatile economy, adaptation is key. Families, small businesses, and all levels of government must adjust to the ever-changing environment. Nonprofit organisations are no exception. In the years since our launch in 2010, Give What You’re Good At has added over £1.5 million to organisations that have demonstrated both of these types of courage by using volunteers in new and strategic ways. Register today for a free account to start building your cause with us.